Please understand that the following is merely suggestions, and you will find your own way and also you will learn much from other bloggers. Determine why you want to begin a Blog and what is your purpose? My rationale was to tell stories about my youth, about my children, and also stories of the present day. Next select a comfortable and dependable host site to enroll your blog. I selected Google’s www.blogger.com/ for several reasons. 2. It is simple to set up. 4. It is dependable and has fewer site break-downs than any other blog sites. 5. Much information is offered to assist you in creating a really nice site. “View Next Blog” enables you to see what other Bloggers are doing and obtain more ideas for your Blog Site. They will find you by the same method. If you do not already have a Face Book account, now is the time to set one up. Also set up a Twitter account for yourself. You are ready to do your first post. Go to the “Google log in” and enter your information. It should take you direct to the Dashboard, then click on "New Post." Next click on “View your post” and ask yourself if you like what you see? Now it is time to send your notices. At the top of the page in the address box, copy the new address that will mention this particular post you just did. Each time you do a blog post; send a notice first to Twitter then to Face Book. Here is how! Note at the top of your recent post there is a share MORE button. Click "more" and then on Twitter. Complete the log in and insert the Title of your new post. Twitter gives you a short cut address for each post. Highlight and copy the notice, then hit Tweet. 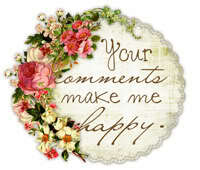 Any Blogs that you view, be sure to leave a comment no matter how short. This is one of the best methods to have others view your Blog. Happy Blogging! More later! find the art you like and right click and save it to a picture file. On your dashboard there is a small icon for photos. Click on that and search for your art and click copy and past. Do your own header banner in a similar method. Write banner and the art you desire. Once you save the new banner, right click and click on edit. It will take you to a page where you can enlarge, write the name of your site and save it back to your picture folder. Thanks, Hazel. Am I following you on Twitter? What's your twitter handle? Thanks Hazel. Nowime to set mine up.